According to EOG Resources, the company behind the new proposal, the project could create up to 66,000 tons of smog-forming pollution. While the company committed to some steps to prevent excessive emissions, they do not go far enough and don’t come close to the commitments some of their peers, such as ExxonMobil, BP and others, have made to reduce harmful emissions. Coupled with the impending rollbacks of oil and gas air pollution requirements at the federal level, EOG’s expanding development will place an even heavier burden on Uinta Basin communities already experiencing health problems as a result of degraded air quality. This isn’t the first time we’ve seen an uptick in oil and gas development cause an increase in air pollution. In 2012, parts of rural Wyoming experienced ozone pollution levels on par with Los Angeles, with oil and gas production serving as the primary cause. Fortunately, the state stepped in and started requiring companies to regularly check their facilities for leaks and other problems that can create harmful pollution levels. Since the state acted, Wyoming’s ozone levels are now on track to regain compliance with the federal health-based standards. It will take similar pollution mitigation efforts to restore clean air to the citizens of the Uinta Basin. The BLM oversees this development, but so far the agency has signaled it will do very little to address the serious pollution issue. (You can read more about BLM’s failure to require robust emissions and waste reductions measures of EOG here.) This is troubling, given all we know about the impacts of oil- and gas-related pollution on human health, and what we know about the cost effectiveness of reducing emissions. By avoiding the issue in Utah, the BLM and EOG aren’t just adding further air pollution insults to an already injured area, they are also allowing for more waste. Beyond degrading air quality, the gas that escapes from these facilities is the very product the companies are intending to sell: natural gas. The BLM has a duty to minimize waste and obtain a fair return on the minerals developed on public lands, yet the agency is blatantly shirking its responsibility to Utah taxpayers by rubber stamping a project that will result in considerable losses of natural gas to the atmosphere. Oil and gas development projects like the one proposed for the Greater Chapita Well Area can undoubtedly bring economic benefits to communities. 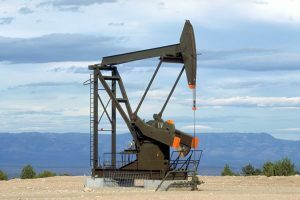 But without firmer action from BLM and producers like EOG to address emissions, the benefits will not be maximized and other unintended health impacts will loom for these communities as well. This entry was posted in Air Quality, BLM Methane, Natural Gas. Bookmark the permalink. Both comments and trackbacks are currently closed.